World Cup runners-up Croatia laboured to a 2-1 victory over Azerbaijan in their opening European Qualifier. Ramil Sheydaev gave the visitors a shock 19th-minute lead in Zagreb, which was cancelled out by Rangers defender Borna Barisic a minute before half-time. It looked like Croatia might have to settle for a draw but Andrej Kramaric found a winner 11 minutes from time. They were joined at the top of Group E by Slovakia thanks to their 2-0 victory over Hungary. Ondrej Duda scored the opening goal three minutes before half-time and Albert Rusnak made sure with the second in the 84th minute. 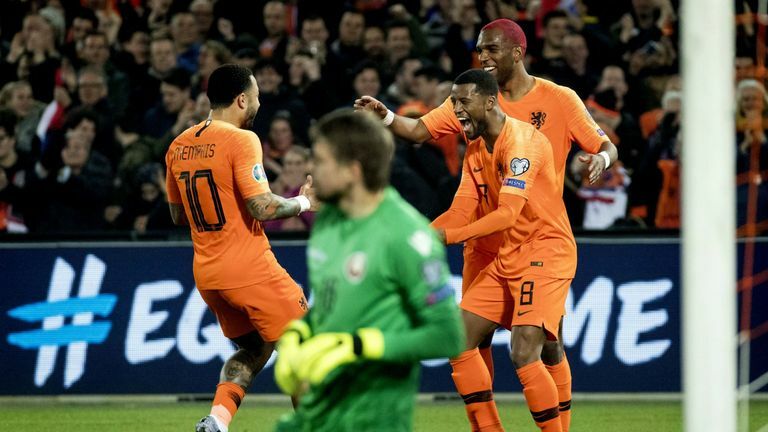 Holland picked up where they left off in the Nations League by easing to a 4-0 victory over Belarus in Group C, with Memphis Depay scoring twice. Highlights of the European Qualifier between Netherlands and Belarus. The Lyon forward then set up Liverpool midfielder Georginio Wijnaldum for a stylish second before making it three from the penalty spot 10 minutes after the break. Liverpool defender Virgil Van Dijk continued his stellar season with a late fourth. 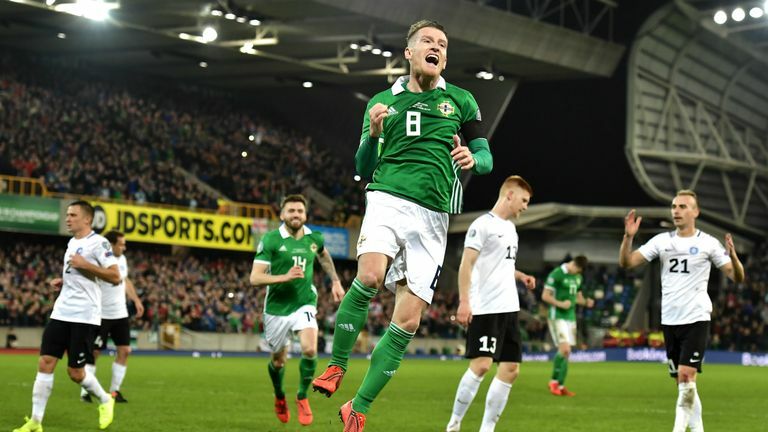 In the same group, Northern Ireland secured their first competitive win since September 2017, beating Estonia 2-0. Niall McGinn scored the opener in the 56th minute and Steven Davis netted from the penalty spot 15 minutes from time. Highlights from Group C in the 2020 European Qualifying match between Northern Ireland and Estonia. Belgium made a winning start in Group I, defeating Russia 3-1 despite a bad error by Thibaut Courtois. The Real Madrid goalkeeper was dropped by Zinedine Zidane for his first match back in charge at the Bernabeu and his club manager would certainly not have been impressed by the dreadful pass that allowed Denis Cheryshev to score in the 16th minute. Belgium had taken the lead two minutes earlier through on-loan Leicester midfielder Youri Tielemans but Courtois' error ultimately did not cost them, with Eden Hazard scoring from the penalty spot just before half-time and then grabbing the third two minutes from time. Moments later Russia were reduced to 10 men when Aleksandr Golovin was shown a second yellow card. Kazakhstan won just their fourth competitive match in comprehensive fashion with a 3-0 victory over hapless Scotland. 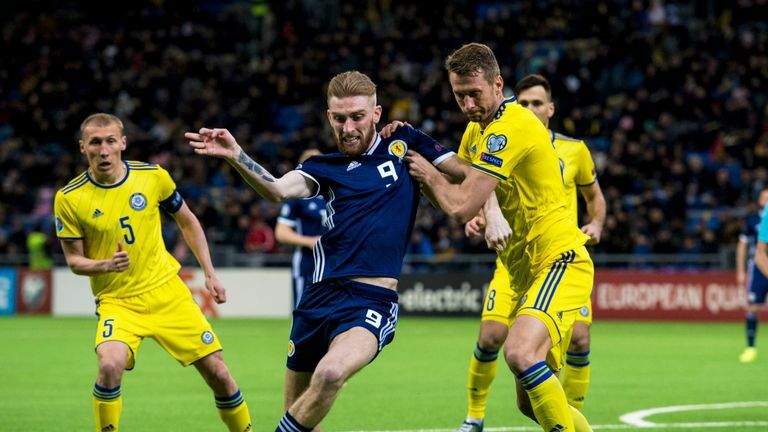 Highlights of the Scotland's European Qualifier opener against Kazakhstan. The Kazakhs - whose previous scalps were Andorra, Latvia and the Faroe Islands - were two up inside 10 minutes through Yuriy Pertsukh and Yan Vorogovskiy before Baktiyor Zainutdinov headed a simple third early in the second half. In Group G, there were victories for Poland and Macedonia. AC Milan forward Krzysztof Piatek continued his prolific season by netting the only goal in Poland's 1-0 victory over Austria while Macedonia were 3-1 winners against Latvia. Goals from Leeds winger Ezgjan Alioski and teenager Elif Elmas put the hosts two up inside half an hour before late drama saw Macedonia's Krste Velkoski score an own goal. Latvia's Andrejs Ciganiks was then sent off and Elmas made sure of the points with his second. In the same group, Israel and Slovenia played out a 1-1 draw while Cyprus were the biggest winners of the day, defeating San Marino 5-0.